Meet the Green-Schools Expo Speakers! 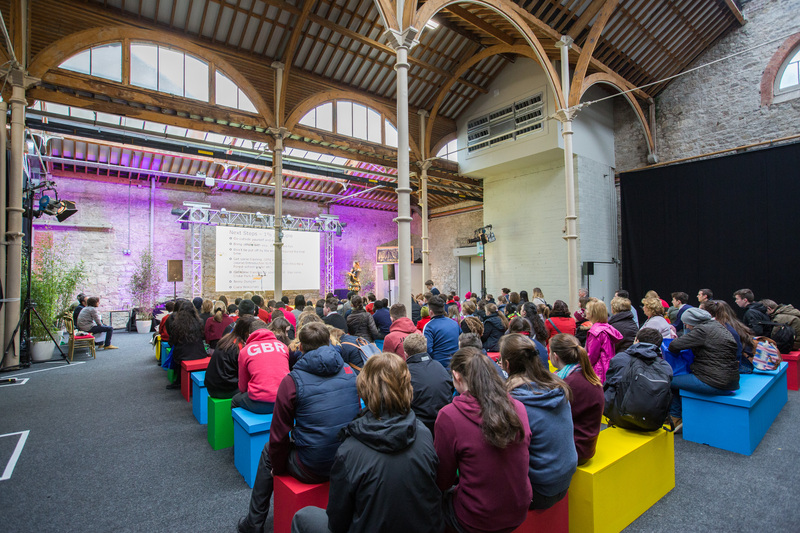 Green-Schools›Posts›Meet the Green-Schools Expo Speakers! The Green-Schools Expo is a little over a fortnight away and we can’t wait! 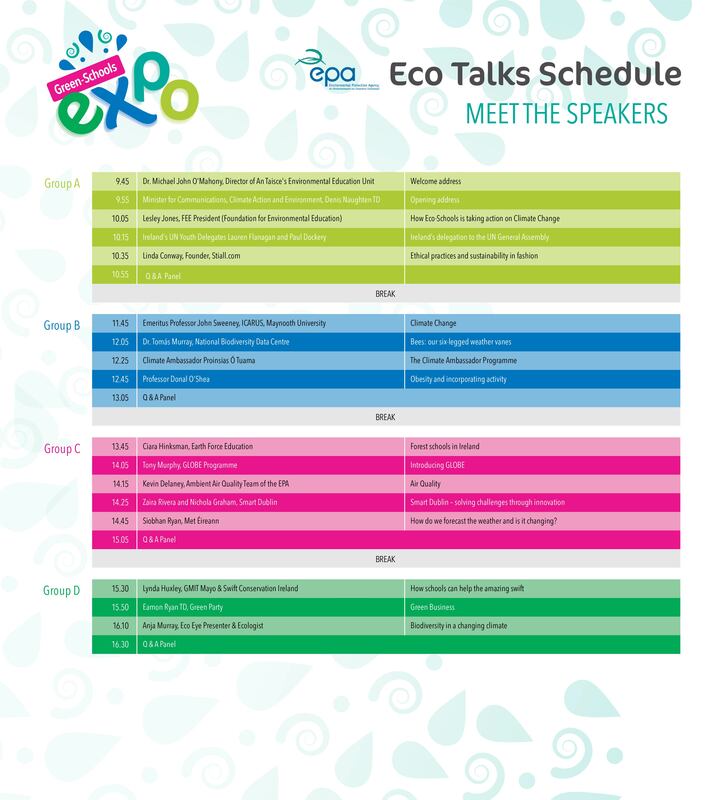 This year’s Expo will feature an expanded EPA Eco-Talks zone, with 19 speakers spread across our four time-slots. We’re thrilled to have such a great selection of amazing speakers, from lots of different areas connected to climate change, sustainability, our environment and environmental education. Our speakers will appeal to all age groups and will have something for everyone. The latter three timeslots will conclude with a Q&A Panel featuring our speakers. Tickets are sold out for our first three timeslots but still available for the 3.30pm – 5.30pm Group D timeslot. This is an ideal time for groups and families living locally to drop by, hear from our speakers and visit the many zones, workshops and stands we’ll have on the day. 2.45pm: Evelyn Cusack, Met Éireann: How do we forecast the weather and is it changing? Click here to download a PDF of our EPA Eco-Talks timetable.